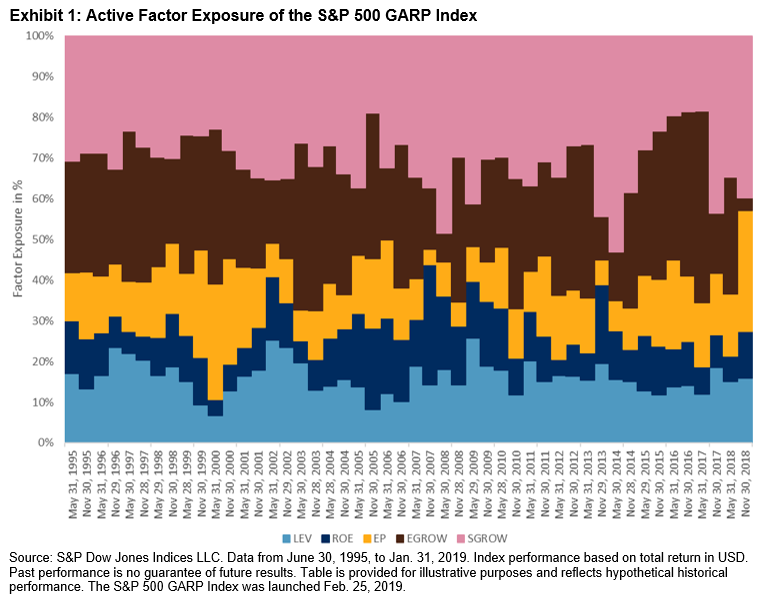 Active exposure is defined as the portfolio factor exposure minus the benchmark factor exposure. Factor percentage exposure is defined as the active exposure of one factor divided by the sum of all five factors. The monthly average of all periods is taken to represent the average active exposure. 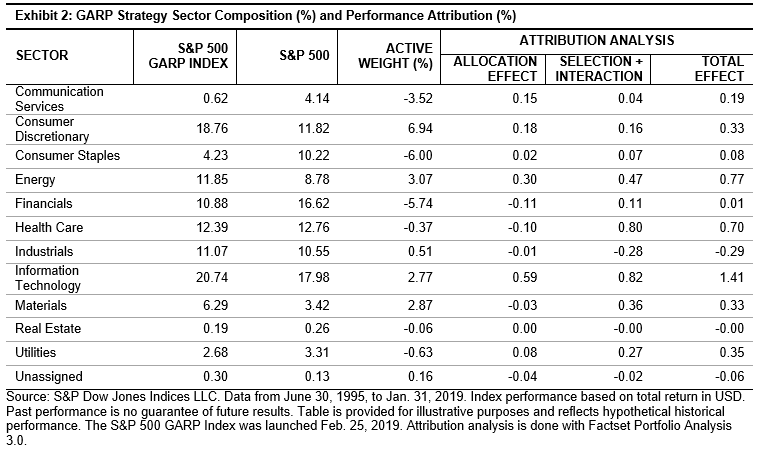 The two-factor Brinson attribution analysis shows that strategy outperformance mainly comes from stock selection rather than sector allocation. In conclusion, the multi-factor sequential filtering approach has achieved its designed goal for GARP strategies. GARP strategies use bottom-up stock selection. The only constraint on sector composition is that each sector is capped at a maximum of 40%. As shown in Exhibit 2, the active weight of the S&P 500 GARP Index didn't exceed 7%. The active weight is defined as the portfolio sector weight minus the benchmark sector weight. 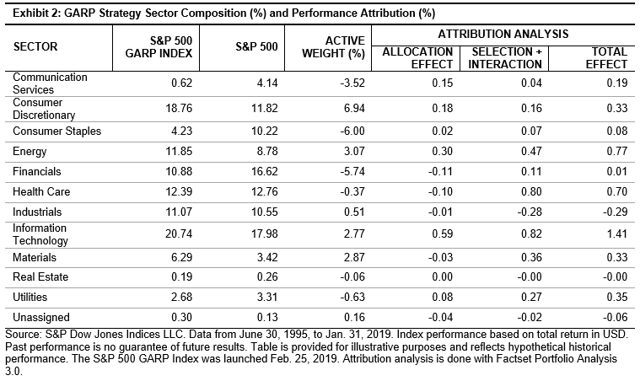 The two-factor Brinson attribution analysis shows that strategy outperformance mainly comes from stock selection rather than sector allocation. These findings are in line with our bottom-up strategy design process.